Executive Masters’ Programs as series of executive education in collaboration with the School of Professional and Executive Education (SPEED), Asia e University (AeU), Malaysia. 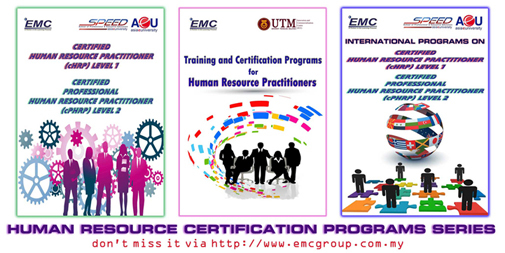 Human Resource Certification for Human Resource Practitioners from EMC Group of Companies, Malaysia. Human Resource Certification Programs in collaboration with the School of Professional and Executive Education (SPEED), Asia e University (AeU), Malaysia.